The ''low and slow'' BBQ is really popular. 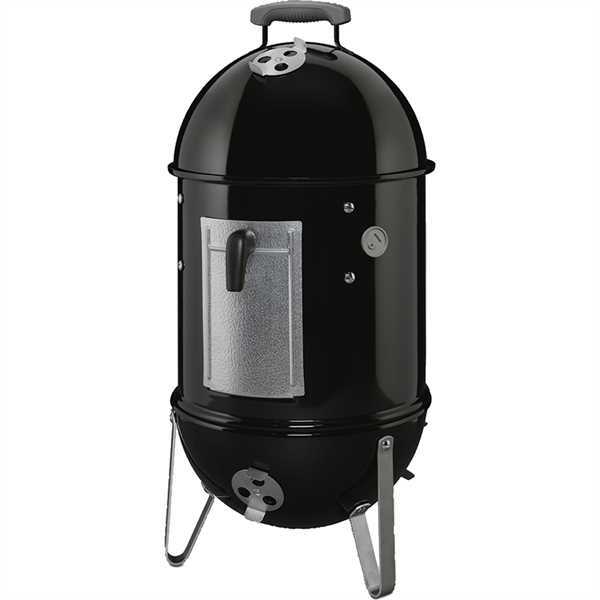 The Weber 14.5'' Smokey Mountain Cooker Smoker is equipped with a lid-mounted temperature gauge, no-rust aluminum door for easy access to the charcoal/wood chunks or chips chamber, silcone temperature grommet and porcelain-enameled water pan. Included are two plated-steel 14.5'' diameter cooking grates. Ample room for smoking a turkey and ham at the same time. Porcelain-enameled bowl and lid and 4 no-rust aluminum vents. 286 sq in cook area.